Nabisco has an amazingly tasty new snack that will absolutely delight you! Get ready to say hello to GOOD THiNS, a crispy, delicious snack that you can feel good about eating on the go. I know many other products claim this but GOOD THiNS surprised me with their light and airy crisp and how thin they are (it’s in the name!) They’re just right for when you want to do SomeTHiNGOOD for yourself! Treat Yourself to SomeTHiNGOOD with GOOD THiNS! Living in Florida, I have plenty of awesome opportunities to take short road trips, both with and without my kids. I always make a trip to Walmart to prepare for my journey. While shopping for my most recent trek, I grabbed a box of GOOD THiNS at Walmart. It took me a minute to decide which flavor I wanted! Original, Sweet Potato, Garlic & Herb, Spinach & Garlic, or Veggie Blend, it was a tough decision, but I ultimately chose Sweet Potato. Even though I try not to snack too much on road trips (who wants to feel all weighed down by the time they reach their destination? ), I found that GOOD THiNS were just right for a “Go-To Good” snack on the move. Light, airy and oh-so delicious! 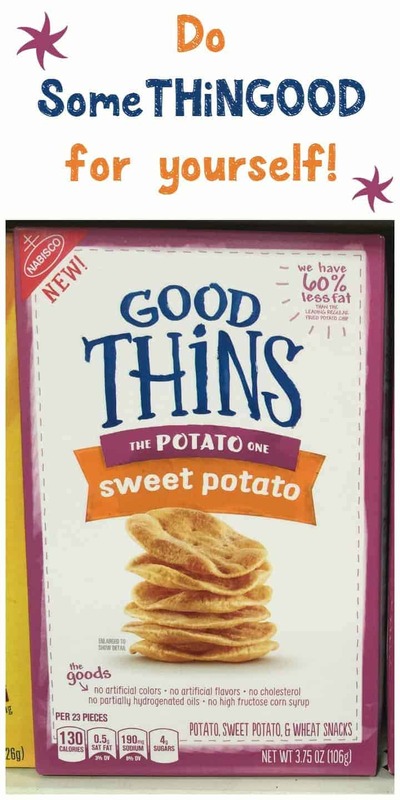 The Sweet Potato GOOD THiNS are made with real ingredients and full of wholesome goodness. Like most, I am trying to eat cleaner and enjoy more snacks that aren’t loaded with artificial stuff. I love GOOD THiNS because the potato varieties have 60% less fat than your regular fried potato chips. These are proof you can create good things and do not have to add artificial colors, artificial flavors, cholesterol, partially hydrogenated oils or high fructose corn syrup. GOOD THiNS are so tasty, I was tempted to keep the box to myself! I did share with my kids, though. After all, I teach them to share, I have to set a good example! Next time I head to Walmart (which will be soon, since I’m there often! ), I’ll grab another box of GOOD THiNS for myself and my family. This is one snack I don’t have to worry about enjoying. I’m happy my kids like them too and are choosing them over typical chips or cookies. I am looking forward to trying all the delicious varieties. I’ll have to pick up a box of the Rice varieties for when my gluten-free friend visits, she’ll be excited to try them I bet! 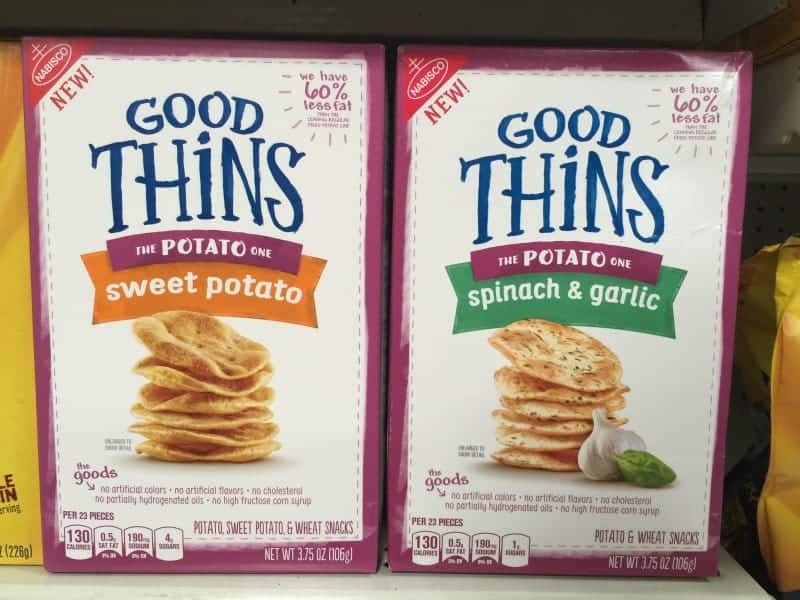 If you are like me, and trying to swap out not so healthy snacks for cleaner options, you need to head to Walmart and stock your pantry with some GOOD THiNS. You’ll find them in the cracker aisle! It’s one snack you’ll feel GOOD about giving the whole family! This is a sponsored conversation written by me on behalf of Mondelēz International. The opinions and text are all mine. I have not seen these before! I love to snack on crackers, I will have to look for these at the store when I go shopping! 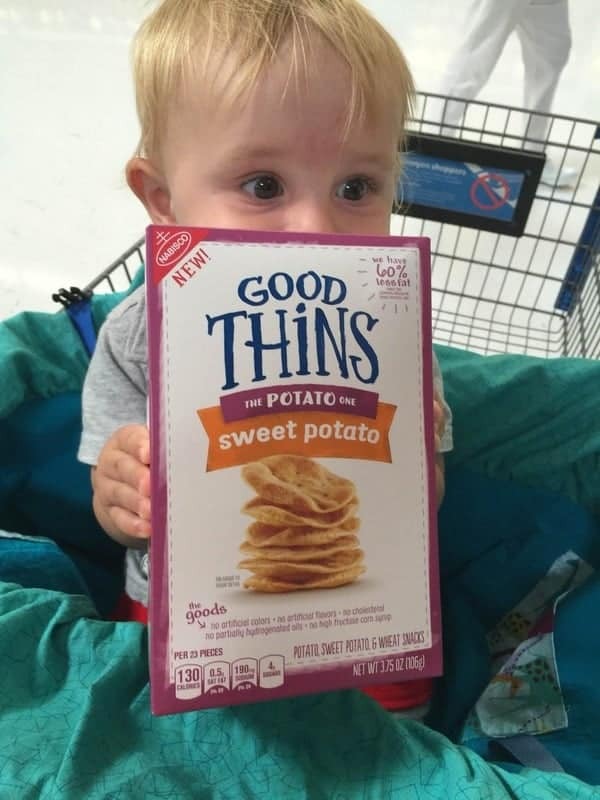 Good Thins are a delicious snack. I like to keep some in my bag for when i need a quick snack.